Football season is upon us and training camp sessions are beginning. With their recent move from San Diego, the NFL’s celebrated team, the Chargers, have found a new home in Los Angeles. For their training camp, the Chargers have chosen to hold all 13 of their practices at Jack Hammett Sports Complex in Costa Mesa, CA with sessions open to public spectators free-of-charge. Fans are encouraged to reserve free bleacher seating passes available on a first-come, first-served basis. 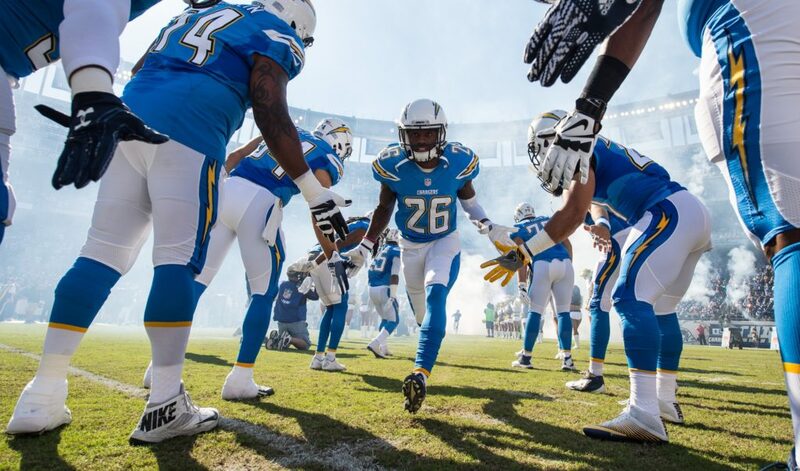 The Chargers summer training camp takes place late July and runs through late August. This annual tradition offers an intimate setting that allows fans of all ages to watch and cheer for their favorite players within a few feet of the practice field. They also have the opportunity to meet players after practices, receive autographs, enjoy interactive games, and meet Charger Girls and great Chargers alumni. For our favorite Chargers fans traveling to Costa Mesa to witness these rigorous and inspiring training sessions, Avenue of the Arts Costa Mesa offers a distinctive and effortless stay. Our hotel is located in the heart of the Costa Mesa’s arts district, neighboring popular attractions Segerstrom Center for the Arts and South Coast Plaza. The Jack Hammett Sports Complex is a 10-minute drive down surface streets. We are offering a complimentary shuttle service for hotel guests to schedule rides to and from the sports complex. The shuttle is perfect for those who want to avoid the center’s $10 parking fee or utilizing public transportation. For the guests who wish to drive, parking is available at the OC Fair and Events Center at the Gate 3 parking lot off Fairview Drive.